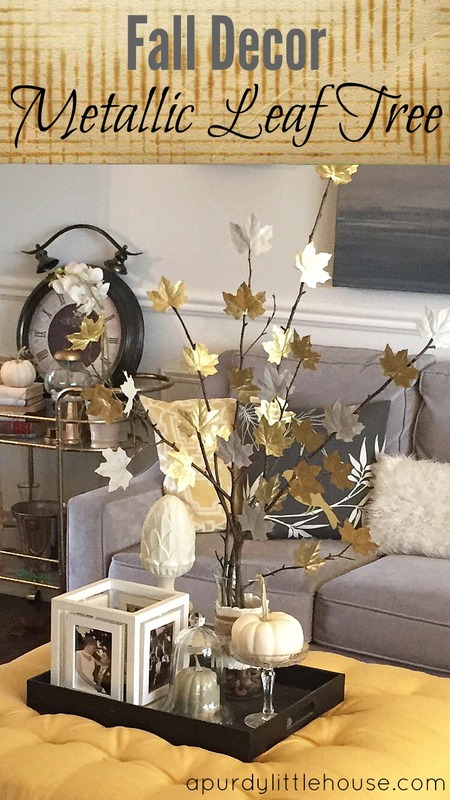 I’m a huge fan of pretty Fall decor (like, who isn’t, right?). I’m not however a fan of decor pieces that are fragile and expensive. 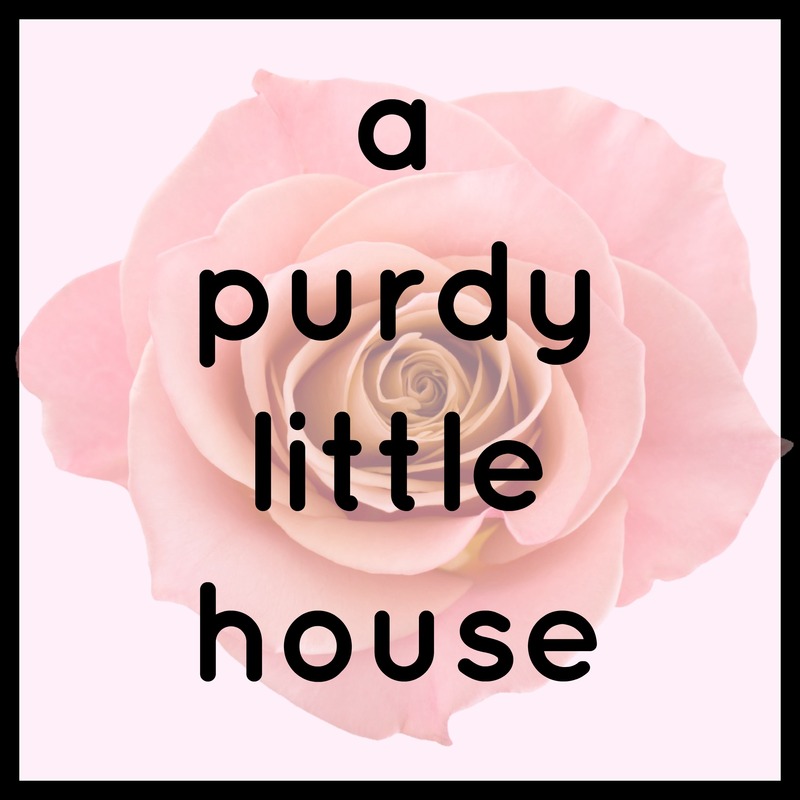 So, my solution is often to come up with a creative DIY project that is simple and inexpensive. This easy project took me all of about 30 min, most of which was waiting for the spray paint to dry. 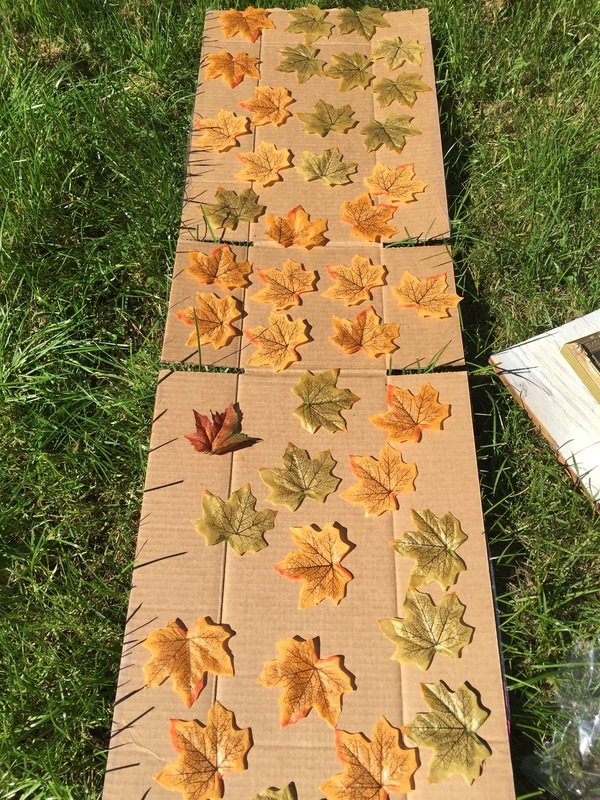 It all started with faux fall leaves from the dollar store, which came in at $1.25. I knew I could transform these into something really cool. 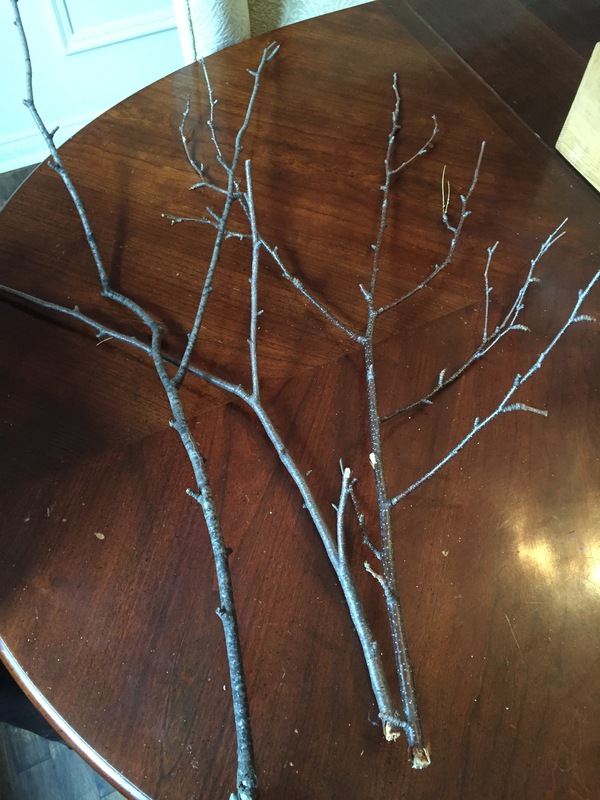 I already had some grey and gold metallic spray paint on hand, so while I was waiting for the spray paint to dry, I gathered some birch branches that had fallen from my big birch tree in my front yard. I made sure they had lots of tiny branches growing off the main stem, where I could add my leaves. 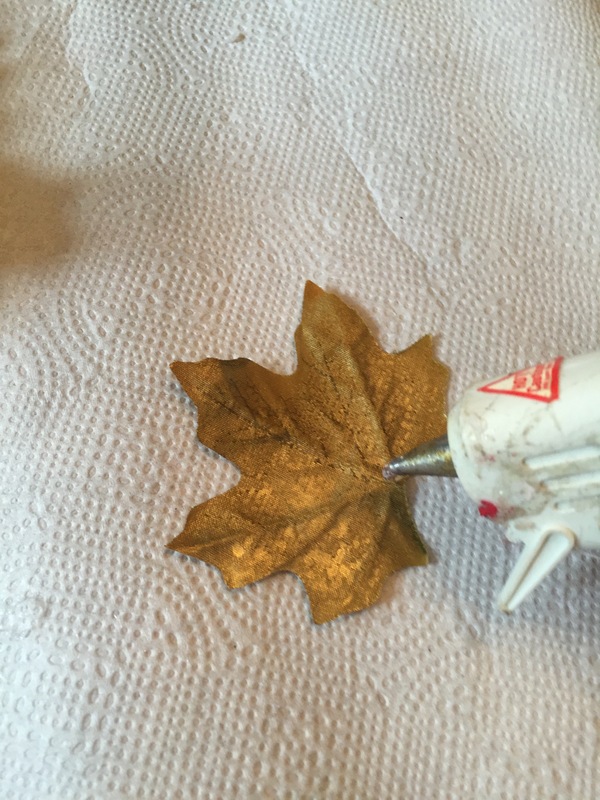 To attach the leaves to the branches, I used my hot glue gun. Here is the leaf tree as it starts to take shape. I love how the gold leaves shine when the sunlight hits them. 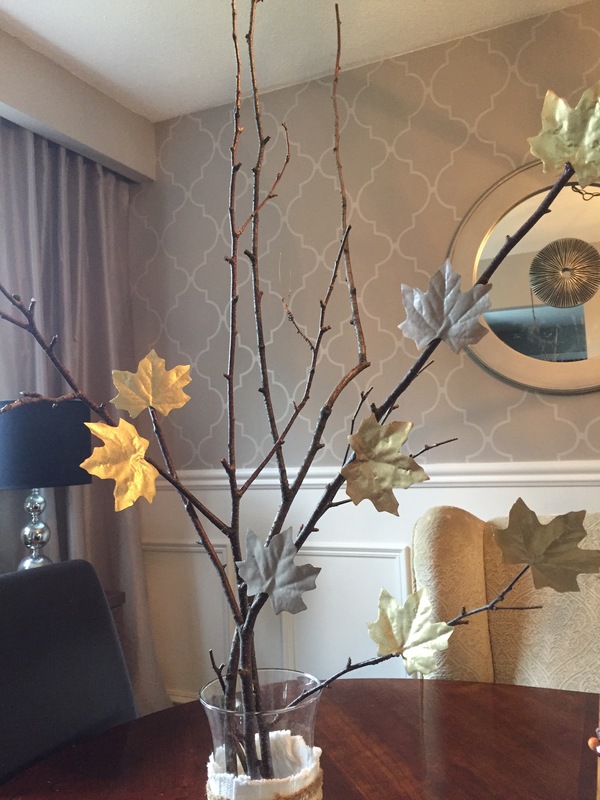 Once completed, I decided that the perfect place to display these pretty fall branches was right in the middle of the living room. Lol. Why not, right? I paired them with other fall decor items, like my casper pumpkin, white artichoke, and grey pumpkin under a cloche I recently picked up at a thrift store. 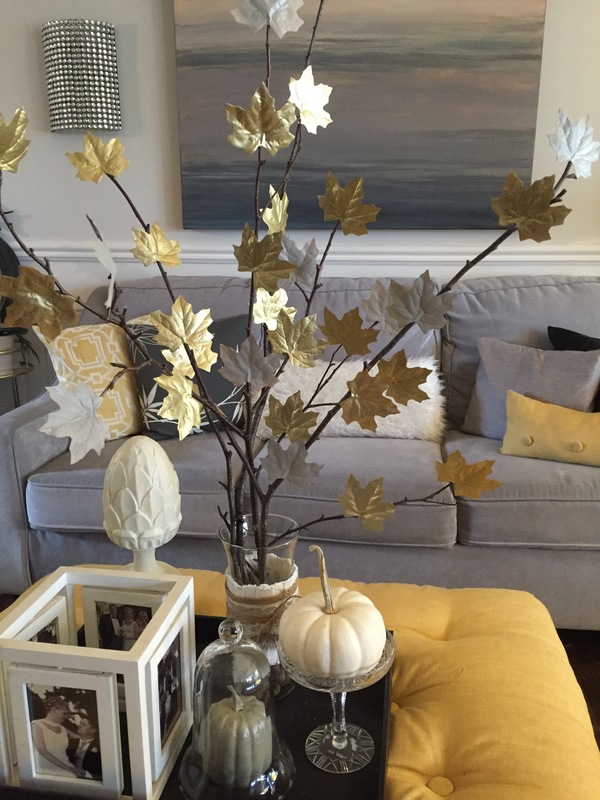 All these items together help create a seasonal atmosphere, without being too over the top. 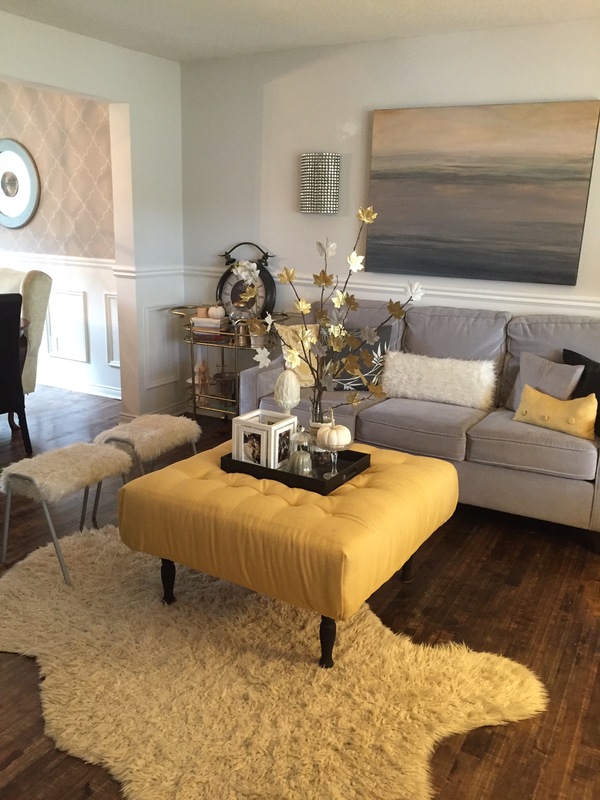 It’s a subtle touch, but adds just the right amount of drama to the space. I’m all for decorating for the holidays, but I don’t necessarily like to have big ol’ orange pumpkins everywhere. 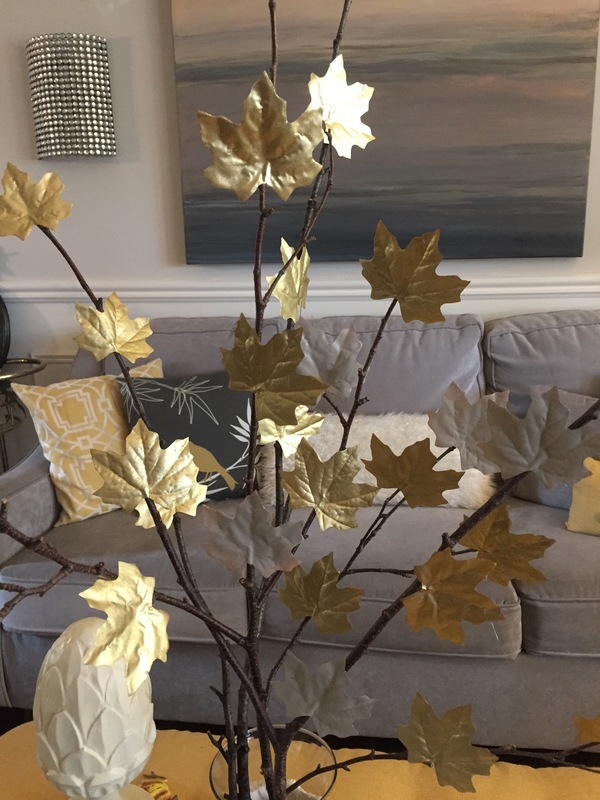 Since I want my seasonal decor to flow well with my existing decor, spray painting items and using muted tones is a perfect solution. That is great! Something I could actually see myself making! 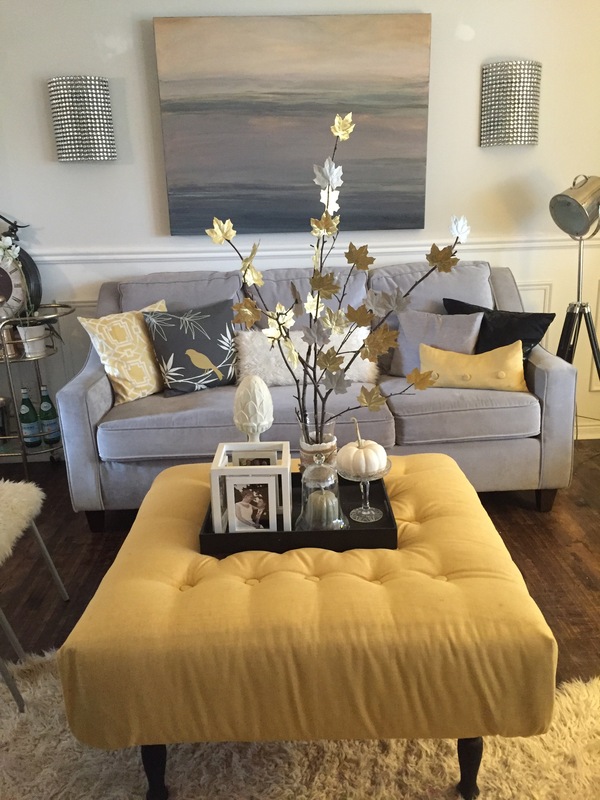 Love how it turned out – thanks for sharing!